What Does the New Atlas Offer? If you are in the market for a family-friendly luxury SUV, then look no further than the 2018 Volkswagen Atlas in Orlando. 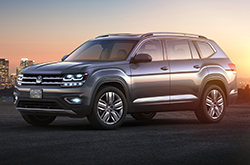 The all-new Volkswagen Atlas features beautiful trim levels, a strong engine, and safety features that are sure to blow you and your family away. 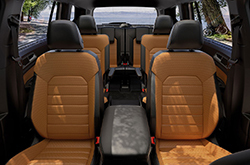 The sleek luxury SUV offers a panoramic sunroof, running the length of most of all three rows of seats. With plenty of room to fit up to seven people, the 2018 Atlas is perfect for the entire family. Continue reading our educational 2018 Volkswagen Atlas review below to learn more! 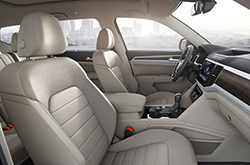 To provide that personalized and smooth drive Volkswagen is known for, the luxury SUV offers beautiful features such as a panoramic sunroof, available 20-inch alloy wheels and easily accommodating three rows of seats. With so much space, enough to fit seven people, everyone in the family can ride in stylish comfort. Not only is the Atlas sleek and modern on the outside, the interior is just as beautiful. With technological features being offered such as the Volkswagen Digital Cockpit, innovation is woven into the SUV. 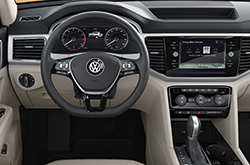 The Volkswagen Digital Cockpit offers an impressive 12.3-inch display that frames a touchscreen sound system, driver profile selection for a personalized drive, App-Connect and a three-month All Access trial subscription to SiriusXM Satellite Radio. An available eight-speed automatic transmission with the Tiptronic and Sport mode offers smooth rides. Highlighted in many 2018 Volkswagen Atlas reviews, the 4MOTION systems allow you with just a turn of a dial, to switch between for different all-wheel-drive modes to the one that fits your current driving situation best. In addition, it monitors the environmental conditions, and then automatically distributes power between the front and back wheels as needed to help optimize traction and provide greater stability. Volkswagen is one of the most well known companies when it comes down to safety, reflected in the new 2018 Volkswagen Atlas in Orlando. Designed for car buyers with families, you can trust on the technology to keep your family safe no matter the drive. Tons of safety features are offered in the luxury SUV, such as the front and rear crumple zone that aids in absorbing crash energy while the rigid safety cage aids in deflecting it away from the driver and passengers. 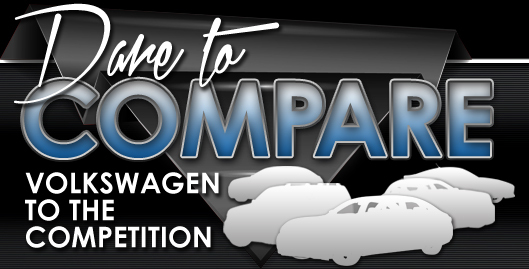 If you want to bring the whole family down to take the luxury SUV out for a test drive, then come on down to David Maus Volkswagen South in Orlando today! If you're on the lookout for the 2018 Ford Explorer, Mazda CX-9 and Honda Pilot in the Orlando area, you should also take the 2018 Volkswagen Atlas into consideration. You could find that with its wide selection of user-friendly features and passenger-oriented persona, it meets your individual needs. 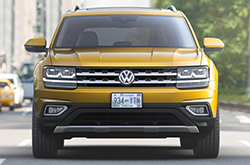 Take advantage of data included in our review to see if the 2018 Volkswagen Atlas works for you; and if you decide it does, take a look at current VW Atlas lease and financing incentives offered at David Maus VW South. We're a local Volkswagen Atlas dealer with amazing offers on new and well-maintained used vehicles. 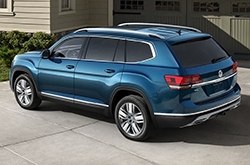 Note the information that you found pertinent after checking out our 2018 Volkswagen Atlas review; those are the points that will guard you from making a purchase you regret. Stop by to enjoy a test drive at David Maus VW South, where you can experience the Volkswagen Atlas personally. Want to see it preceding your visit? Not a problem - watching the included video clip will give you a glance at its exterior and interior from all angles.